Chiropractic is a health care approach that focuses on the relationship between the body’s structure—mainly the spine—and its functioning. Although practitioners may use a variety of treatment approaches, they primarily perform adjustments to the spine or other parts of the body with the goal of correcting alignment problems and supporting the body’s natural ability to heal itself. People seek chiropractic care primarily for pain conditions such as back pain, neck pain, and headache. Side effects and risks depend on the type of chiropractic treatment used. Chiropractic practitioners in the United States are required to earn a Doctor of Chiropractic degree from properly accredited colleges. Ongoing research is looking at effects of chiropractic treatment approaches, how they might work, and diseases and conditions for which they may be most helpful. While some procedures associated with chiropractic care can be traced back to ancient times, the modern profession of chiropractic was founded by Daniel David Palmer in 1895 in Davenport, Iowa. Palmer, a self-taught healer, believed that the body has a natural healing ability. Misalignments of the spine can interfere with the flow of energy needed to support health, Palmer theorized, and the key to health is to normalize the function of the nervous system, especially the spinal cord. Conventional medical treatments were too expensive–10 percent. Many people who seek chiropractic care have chronic, pain-related health conditions. Low-back pain, neck pain, and headache are common conditions for which people seek chiropractic treatment. During followup visits, practitioners may perform one or more of the many different types of adjustments used in chiropractic care. Given mainly to the spine, a chiropractic adjustment (sometimes referred to as a manipulation) involves using the hands or a device to apply a controlled, sudden force to a joint, moving it beyond its passive range of motion. The goal is to increase the range and quality of motion in the area being treated and to aid in restoring health. Other hands-on therapies such as mobilization (movement of a joint within its usual range of motion) also may be used. Side effects and risks depend on the specific type of chiropractic treatment used. For example, side effects from chiropractic adjustments can include temporary headaches, tiredness, or discomfort in parts of the body that were treated. The likelihood of serious complications, such as stroke, appears to be extremely low and related to the type of adjustment performed and the part of the body treated. If dietary supplements are a part of the chiropractic treatment plan, they may interact with medicines and cause side effects. It is important that people inform their chiropractors of all medicines (whether prescription or over-the-counter) and supplements they are taking. To practice chiropractic care in the United States, a practitioner must earn a Doctor of Chiropractic (D.C.) degree from a college accredited by the Council on Chiropractic Education (CCE). CCE is the agency certified by the U.S. Department of Education to accredit chiropractic colleges in the United States. Admission to a chiropractic college requires a minimum of 90 semester hour credits (approximately 3 years) of undergraduate study, mostly in the sciences. Chiropractic is regulated individually by each state and the District of Columbia. Board examinations are required for licensing and include a mock patient encounter. Most states require chiropractors to earn annual continuing education credits to maintain their licenses. Chiropractors’ scope of practice varies by state in areas such as laboratory tests or diagnostic procedures, the dispensing or selling of dietary supplements, and the use of other CAM therapies such as acupuncture (A family of procedures that originated in traditional Chinese medicine. Acupuncture is the stimulation of specific points on the body by a variety of techniques, including the insertion of thin metal needles though the skin. It is intended to remove blockages in the flow of qi and restore and maintain health.) or homeopathy (A whole medical system that originated in Europe. Homeopathy seeks to stimulate the body’s ability to heal itself by giving very small doses of highly diluted substances that in larger doses would produce illness or symptoms (an approach called “like cures like”).). Compared with other CAM therapies, insurance coverage for chiropractic services is extensive. 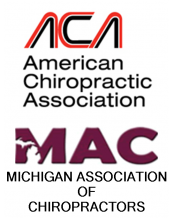 Many HMOs (health maintenance organizations) and private health care plans cover chiropractic treatment, as do all state workers’ compensation systems. Chiropractors can bill Medicare, and many states cover chiropractic treatment under Medicaid. If you have health insurance, check whether chiropractic services are covered before you seek treatment. Research to expand the scientific understanding of chiropractic treatment is ongoing. Any special medical concerns you have and any medicines or dietary supplements you are taking. Tell all of your health care providers about any complementary and alternative practices you use. Give them a full picture of what you do to manage your health. This will help ensure coordinated and safe care. Influence of people’s satisfaction with chiropractic care on their response to treatment. The Council on Chiropractic Education. Standards for Doctor of Chiropractic Programs and Requirements for Institutional Status January 2007. The Council on Chiropractic Education Web site. Accessed on June 28, 2007. Ernst, E, Pittler, MH, Wider, B, eds. The Desktop Guide to Complementary and Alternative Medicine: An Evidence-Based Approach. 2nd ed. St. Louis, MO: Mosby Elsevier; 2006. CRISP is a database of information on federally funded scientific and medical research projects being conducted at research institutions. NCCAM thanks Partap S. Khalsa, D.C., Ph.D., for his technical expertise and review of this publication. Note: The PDF file requires a viewer such as Adobe Reader, which you can download free of charge from the Adobe Web site.